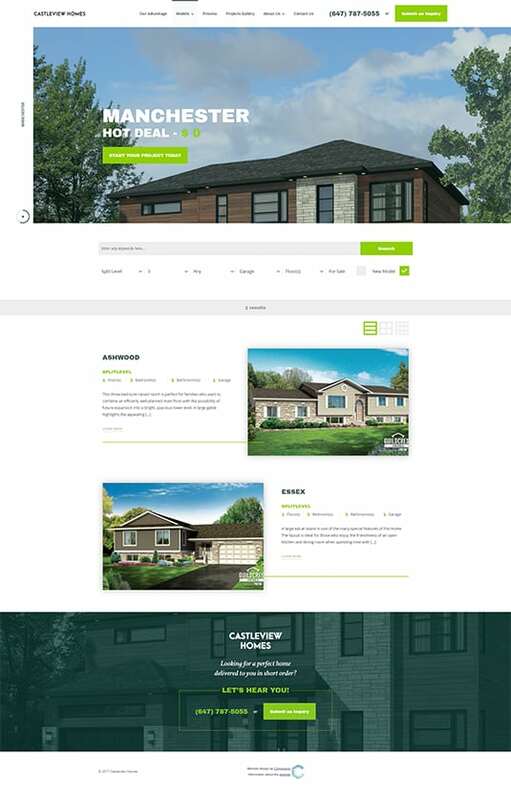 Castleview Homes is a company that delivers a far more diverse and customizable set of solutions for modular homes than was previously available on the market. 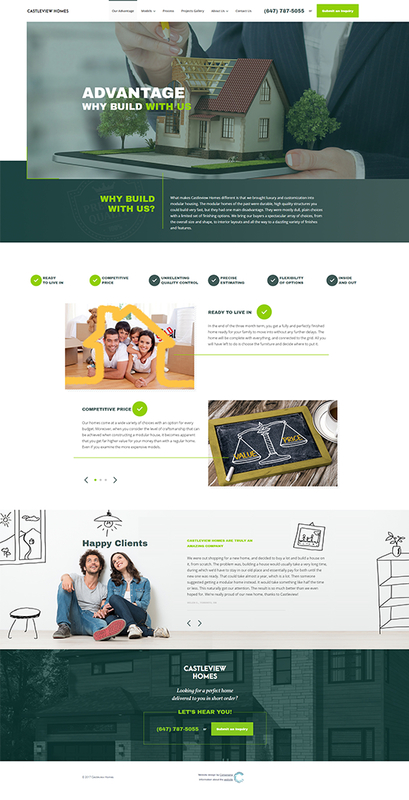 Therefore, there was a need to create a website that combines two seemingly mutually exclusive messages - diversity and simplicity. In order to achieve this goal, we chose a clearly structured layout with lots of variation and a cascading flow that guides the visitor through the experience in a fluid, easy manner. In this industry, many of the visitors the company gets come from mobile searches. A lot of people are shopping for a home on the go. The website is built to be clearly legible and pleasant to the viewer on any display, from desktop to the smallest handheld devices. This is reflected in the contrasts of fonts and backgrounds as well as in the clear-cut layout of the page’s sections. 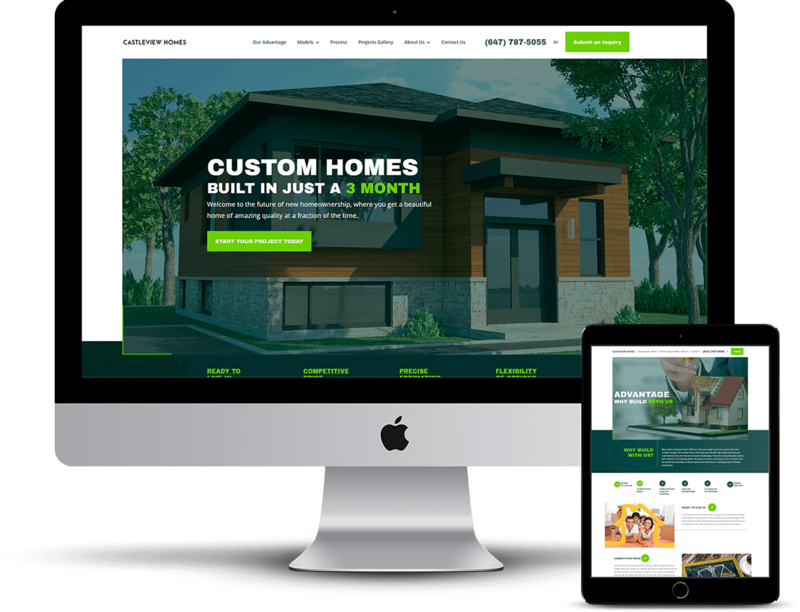 To fully convey the message that the proffered custom modular homes are first and foremost a fast solution, images of engineers at work are used alongside pictures of the homes themselves. To drive the point home, the message that the process takes only 3 months is a repeating theme throughout the entire website. 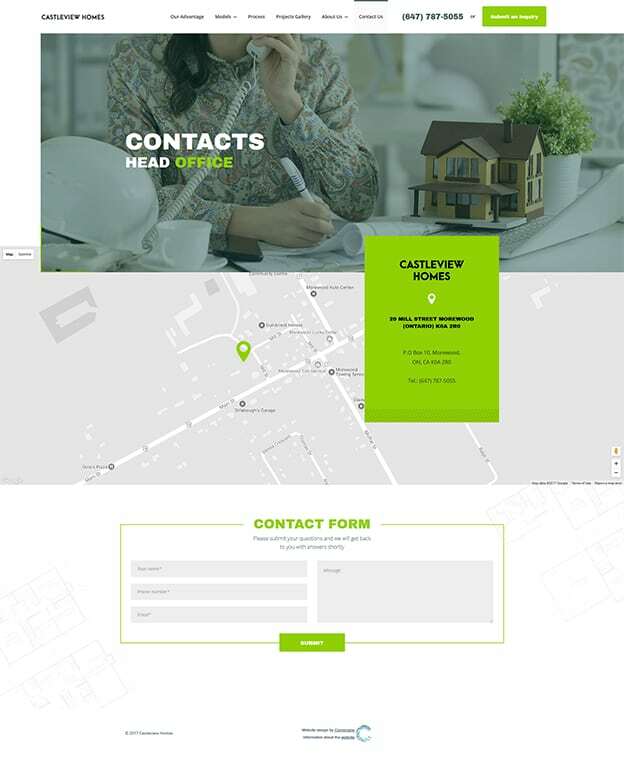 This website is not only well built, but efficient as well, with clear call-to-action buttons and other elements that make it far more than a display case. It is an efficient selling tool as well. 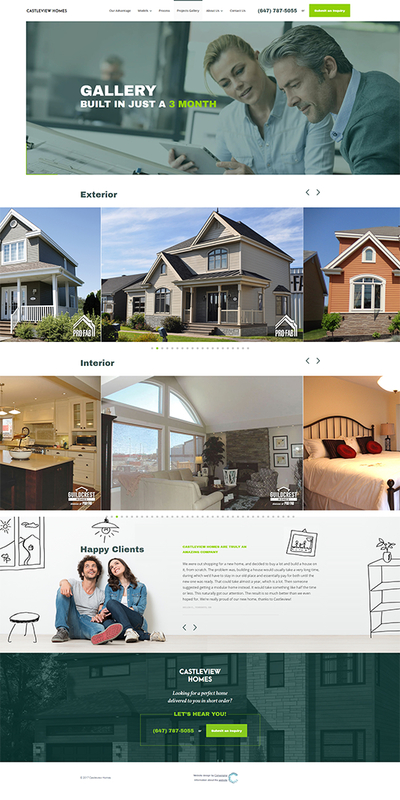 The result is a website that captures the essence of Castleview Homes perfectly. It is simple and linear in terms of experience, yet manages to produce and display a stunning variety of the company’s products.